Lawrence ’21 grew up surrounded by music and dance. Lawrence, who is a Brooklyn, New York native of Caribbean descent, is a first generation college student at Providence College. He puts his studies first and is working towards majoring in global studies and political science, as well as a minor in Spanish. However, his true self comes to life outside the classroom: Lawrence is an active member of the Board of Programmers (BOP), the secretary of Afro-American Society, a resident assistant in Aquinas Hall, a vocalist in Footprints Gospel Choir, and a performer in Motherland Dance Group. 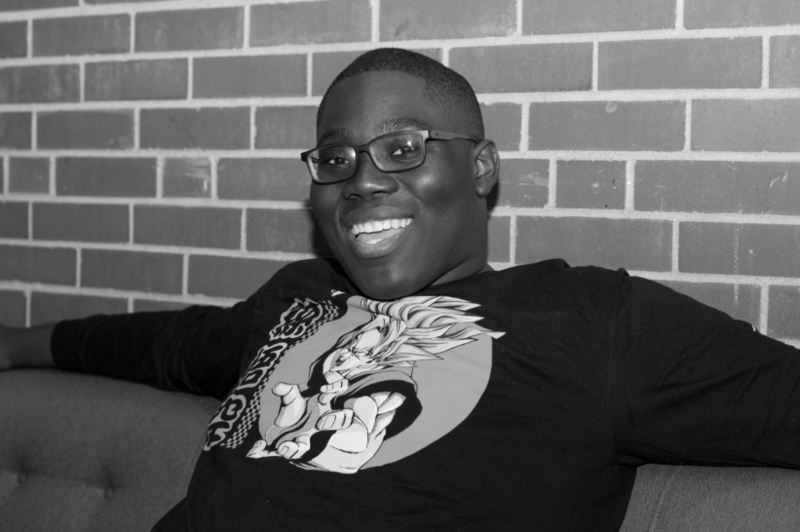 Lawrence joined the latter two organizations during his freshman year after members of the clubs recognized his talent at orientation events and invited him to join. Growing up, he always loved dancing and singing, but felt that these activities were frowned upon by his peers and church community because he was a boy. “I was always dancing,” he recalls, adding that he loved the jazz and gospel music that his mother would play. “Now I learned that if you want to dance, if you want to sing, don’t let people’s words stop you,” he explained. Being a member of organizations centered on these passions has allowed Lawrence to learn more about himself and build stronger relationships. “It helped me to connect with people, and people were not usually connected to me,” said Lawrence. While it may seem remarkable that Lawrence takes on so many roles in the PC community, it is of no surprise to him. One of Lawrence’s goals at PC is to bridge gaps in polarization and build relationships between people. “What I personally believe is that even if someone is different from you, they’re still human,” he stated. Lawrence is passionate about showing respect for others, and feels that if one is to receive it, then one must also give it. In the long term, he hopes to attend law school with the intention of helping companies and organizations understand the law, especially how it can benefit themselves and other people. Lawrence also wants to use the law in a “holistic” sense to protect humans, wildlife, and the environment. His overarching, big picture desire? To help the world live in harmony.